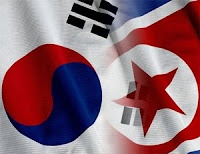 SEOUL-South Korea's Defense Ministry doubt North Korea has the capability to launch a nuclear-armed ballistic missiles as it Claimed in a report by U.S. intelligence agencies. "North Korea has conducted three nuclear tests, but still doubt that the North has made ​​a warhead small and light that can be placed on a missile," said defense ministry spokesman Kim Min-seok told Reporters on Friday (12/4). But Kim added that North Korea "is being mamasuki that stage" in which the country can be made ​​in the form of a small one for the deployment of missile warheads. He was responding to the findings of the U.S. Defense Intelligence Agency (DIA), which declare Pyongyang could launch a nuclear warhead can not be predicted even when. The assessment revealed a U.S. lawmakers at a hearing on the Korean peninsula as tensions increased concerns that the missile launch is expected to be done in the next few days. In a statement to reporters Kim stresses not seen no improvement or movement of North Korean armed forces in recent days.